Alas, the most unexpected and most terrible thing happened! That’s right. I ran out of yarn. Good grief! 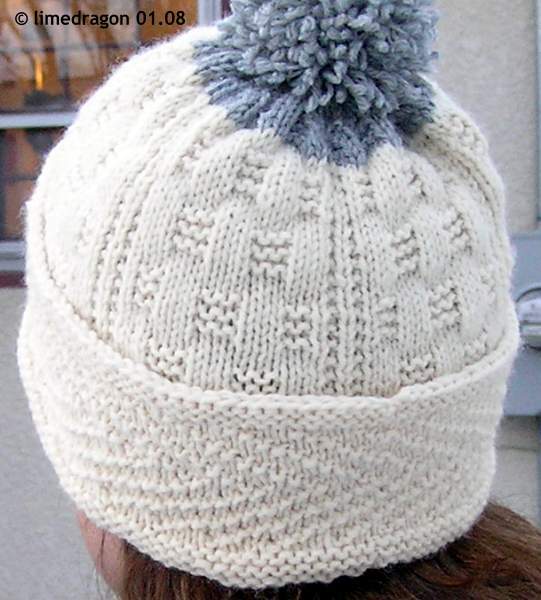 The hat size I was currently working was only a Medium, and the pattern requirements lists 220 yards as sufficient for even the Extra-Large size. What happened? My gauge’s spot on. Apparently, the Wool-Ease just wasn’t “yarn enough” for this project. Quite upsetting. I was just one round away from starting the crown decreases, which included a further eight rounds. That’s it. And I had… no… more… yarn. Stupid, stupid! Have I suddenly been cursed? Are the knitting gods laughing at me? The way I saw it, I had three choices: 1) finish the silly thing with another color of Wool-Ease, 2) cut off the cuff and use the yarn to finish the crown, or 3) frog the whole thing. Yuck! I didn’t want to rip back what could be a perfectly good hat. I wasn’t enthusiastic about cannibalizing the cuff because it was my favorite part of the project?I really wanted to retain this feature. So, I dug up some leftover Wool-Ease and grudgingly finished the silly hat. Nice save! That is a really cool pattern. A very good save. And it doesn’t look like a save. It looks like you planned it that way! I like the look of it! The pom pom really finishes it nicely too. I like the tracking indicators you have for the tokens earned and the yardage used. Yay, Mom! An excellent save. The hat turned out great. The pompom did tie everything together nicely. Very cute! I like the grey on there! I really love that pattern. The grey looks nice. I think it looks fantastic with the grey, but I can totally understand your frustration. Silly yarn. Looks good! (and don’t you love that book? 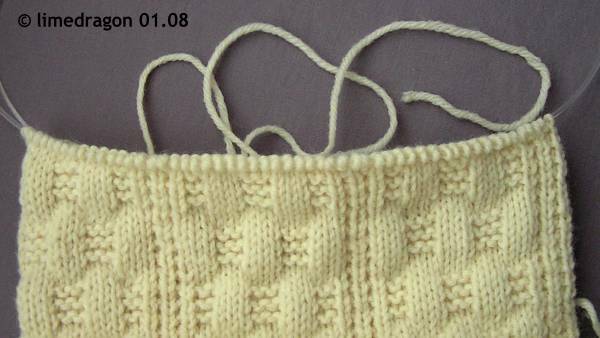 it taught me how to do a few things… like long tail cast on purl-wise). Good save mom. Good hat Harriet. Ok, now I sound like Suess. Yes, Tracey, you do. It’s cracking me up. Oh, no! But I like it! Good save! Good call, Mom! The pom-pom definitely pulled it together! And it appears the knitting gods are smiling upon you again, since I see you’re the winner of the Socks in the Cities prize this month! Congrats! The pompom saves it – seriously! Didn’t notice until you pointed it out. Excellent save! The pompom really does help. It makes it look like you planned it that way. Nice pattern! I think having the pom pom up there totally makes it look like a design feature. Great idea! !